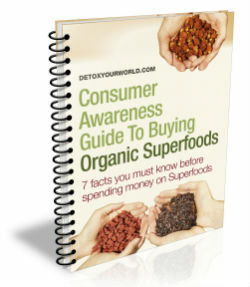 Walnuts contain a large selection of nutrients including vitamins, minerals and omega 3 fatty acids. Walnut halves are a delicious, yet incredibly healthy snack between meals. 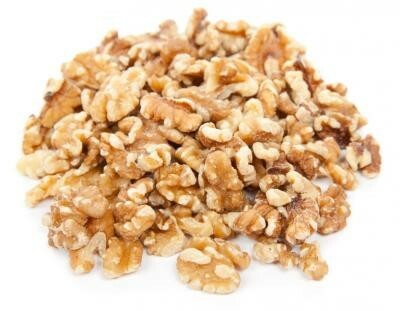 Walnuts make an ideal snack and are simply delicious when added to a variety of breakfast dishes, desserts, raw chocolate, raw cakes and trail mix. Walnuts grow on walnut trees (Juglans) - a deciduous tree that belongs to the walnut family (Juglandaceae). The most common variety of walnut and also the most widely eaten, is Juglans regia. Walnut trees grow in temperate regions of South East Europe, the Middle East, Asia, Canada, the United States and Argentina and reach an average of 10 to 40 metres in height. 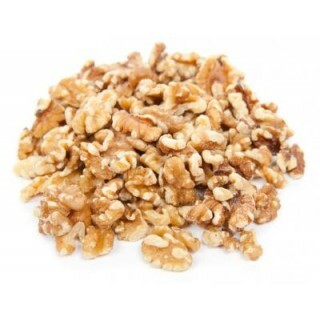 One serving of walnut halves is equivalent to 25 g.
The name walnut comes from an old English word "wealhhnutu", which literally translates as "foreign nut"
Do not buy walnut halves if you are allergic to walnuts. Always read the enclosed product information before deciding to eat walnut halves. Packaged in an area where other nuts are processed.